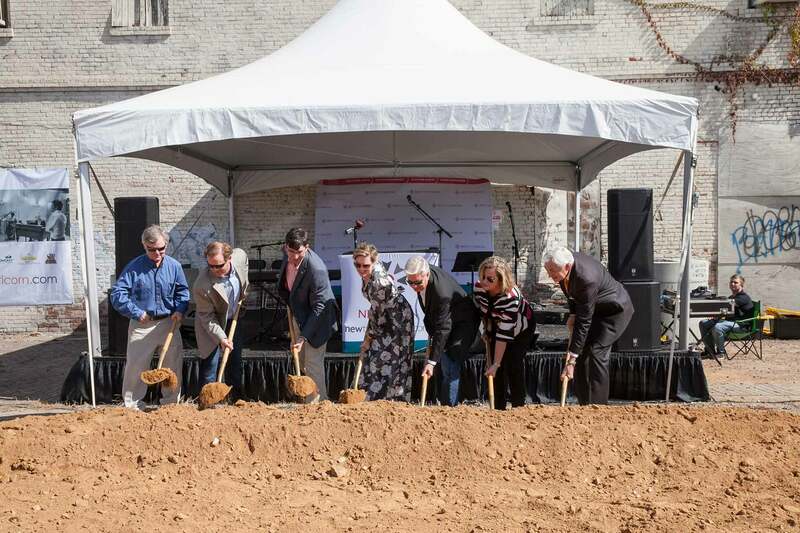 Mercer University, NewTown Macon and The Lofts at Capricorn held a groundbreaking for Mercer Music at Capricorn and The Lofts at Capricorn on Oct. 6. This partnership, announced last December, will bring back to life the historic Capricorn Studio as part of the largest market-rate residential development in the history of downtown Macon. Mercer Music at Capricorn will restore the historic Capricorn Recording Studio, which will include space designed to incubate young musicians and live performance/special event space. The 190,000-square-foot Lofts at Capricorn will envelop the Capricorn Studio building and include 82 one-bedroom apartments and 55 two-bedrooms lofts and more than 15,000 square feet of new office and retail space.